This is a week-long, 110 km / 70 mi, mainly hotel to hotel walking route that is better walked in the period from October to May. 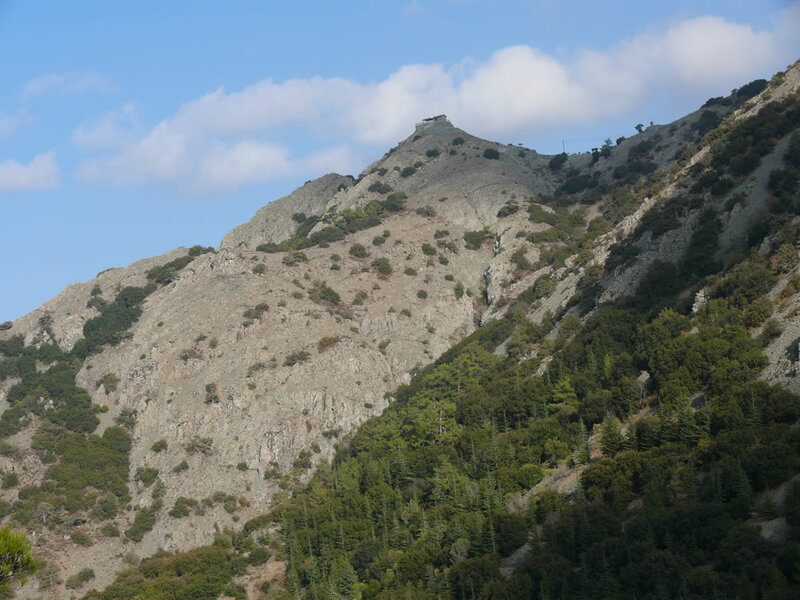 The walk includes the highest elevation trail in Cyprus, with an alternative, lower elevation option in case of snow cover. The walk is in the cooler western part of the island and can therefore very pleasantly be done close to summer. ​On Day 1 from the airport travelers are transported to the old part of Kakopetria village where they stay for two nights. Depending on the time of arrival visitors could relax and explore the old part of the village and/or visit upto two Unesco World Heritage Troodos painted churches within walking distance from their accom​modation. On Day 2, we offer two options based on travellers' preference and possibly based on conditions (snow cover). In Day 2 Option 1, travellers can select to do a combination of the top elevation Cyprus walk (Artemis) and of a walk at a very different habitat (Caledonia Waterfalls) (please check the short videoclip). Walking on Artemis offers superb panoramic views of different parts of Cyprus. 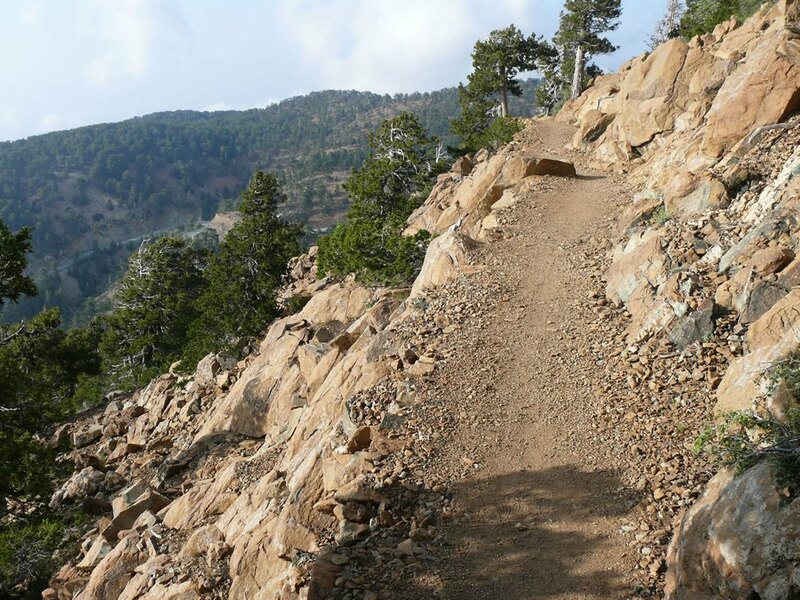 The walk combines barren rocky land, that is home of the endemic Troodos juniper, with forested stretches of black pine (and juniper). Walkers pass by some very old and huge trees. The walk has a very high value also for those interested in geology. It should be noted that when there is snow, (usually a few weeks or a couple of months each year) we advise against doing this walk. There are other lower elevation alternatives that we can suggest (eg Option 2). Option 1 walk includes a stretch on paved road (from Artemis to the higher elevation end of Caledonia Waterfalls trail). We recommend also the Caledonia Waterfalls trail as it is quite dramatic and steep and has a running stream all year round, which is atypical of Cyprus. It provides an excellent contrast to Artemis trail. Travellers can chose if they prefer to do only one of the two walks instead. On Day 3 of the walk (Shaded Platy Valley to Kelephos medieval bridge walk), the walkers are transported to the starting point of their walk, in the lush shaded Platy Valley. About half of the stretch is in Platy Valley, next to the stream. There are good possibilities for mouflon spotting here. 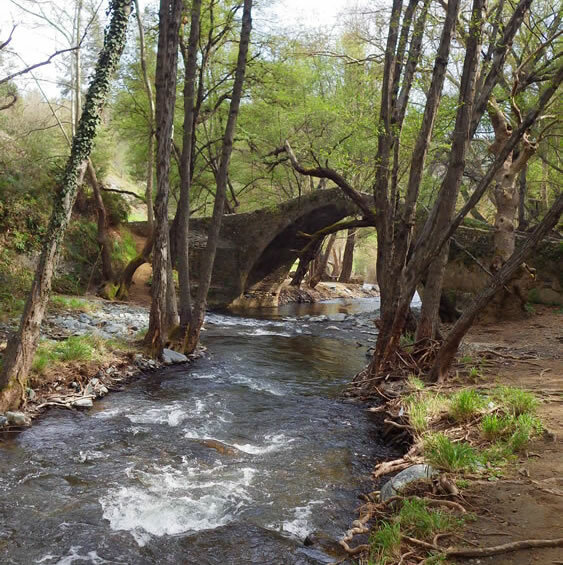 Another stretch is on a part of a trail that is called the Medieval Bridges trail, which according to local tradition was used by camel caravans to carry mined material from the copper mines on the north side of Troodos to Paphos port for export. 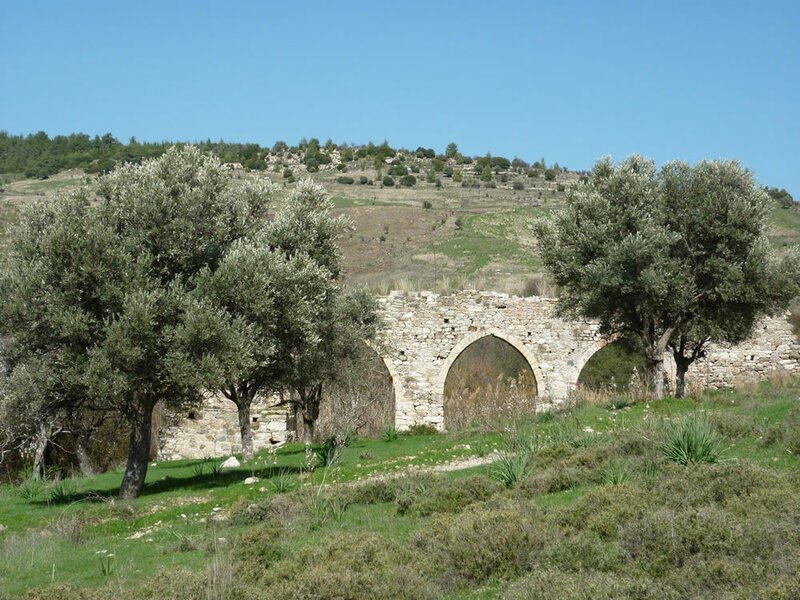 Travellers are picked up from superb Kelephos medieval Venetian bridge to be taken to the village of Salamiou (or Trachypedoula). 'On Day 5 of the walk the walkers descend through Ezousa Valley to Kannaviou village and then ascend to well preserved stone-built Phiti village (before walking to nearby Lasa village to spend the night). 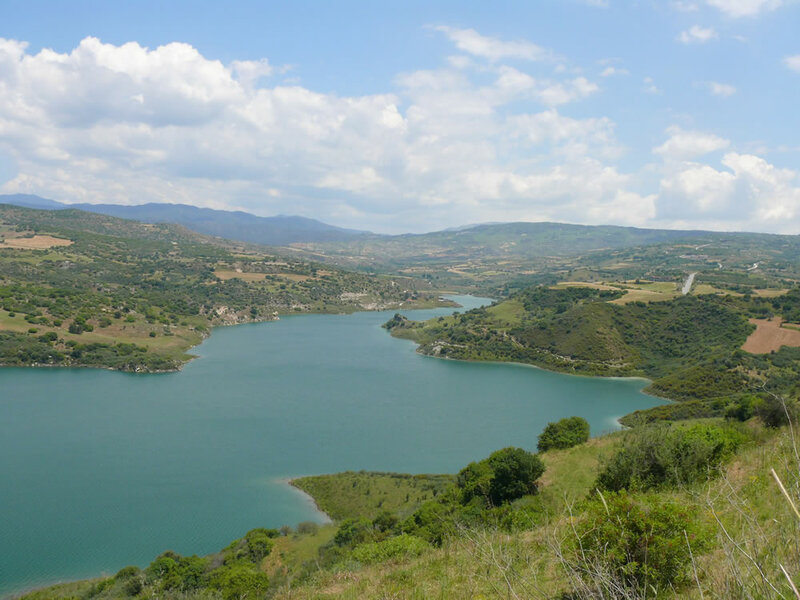 On the way walkers enjoy views of the wide valley and of Kannaviou manmade lake and encounter an increasing number of oak trees, once a dominant species in big parts of Cyprus. At Phiti village they may have the opportunity to watch the weaving of 'Phithkiotika’, the renowned colourful textiles manufactured in Phiti village. Note : Those who want a longer walk for the day can do first the recommended circular Vouni Panagias walk, which is eight km long, inside vineyards and offers excellent views of Ezousa Valley. ​On Day 7, the last day of the walk the walkers traverse the pristine Akamas peninsula enjoying glorious views initially of the west coast and subsequently, on the imposing Moutti Tis Sotiras peak, of the north west, and of the north coast, all the way to Pomos in the north east (the Akamas Panorama Walk). Walkers leave Akamas from mythical Baths of Aphrodite cave. ​As Day 2 Option 2, we propose a walk on Madari mountain peak (short videoclip here). The walk is on a circular nature trail that offers a combination of habitats (including a Cyprus Cedar forest), excellent panoramic views, and the very extraordinary rock formations in the area (appropriately named ‘Teishia tis Madaris’ meaning ‘Madari’s walls’). Those looking for a longer walk can combine it with an adjacent circular walk (3 km / 2 mi long), or walk to and from the nearby Panagia tou Araka Unesco World Heritage Painted church (which would add about six more km to the distance). 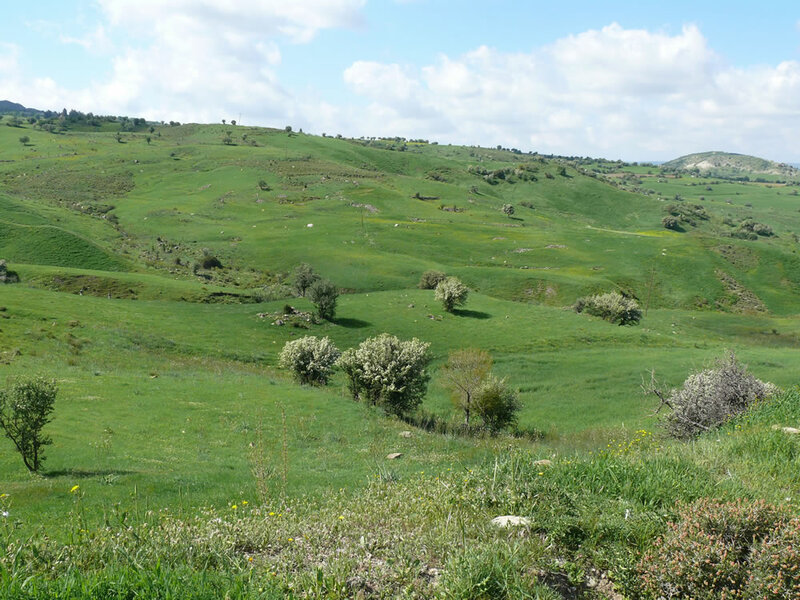 ​On Day 4 of the walk the walkers explore Xeros Potamos Valley whose natural beauty is supplemented by the presence of human construction going back to medieval times (watermills and a Venetian medieval bridge). 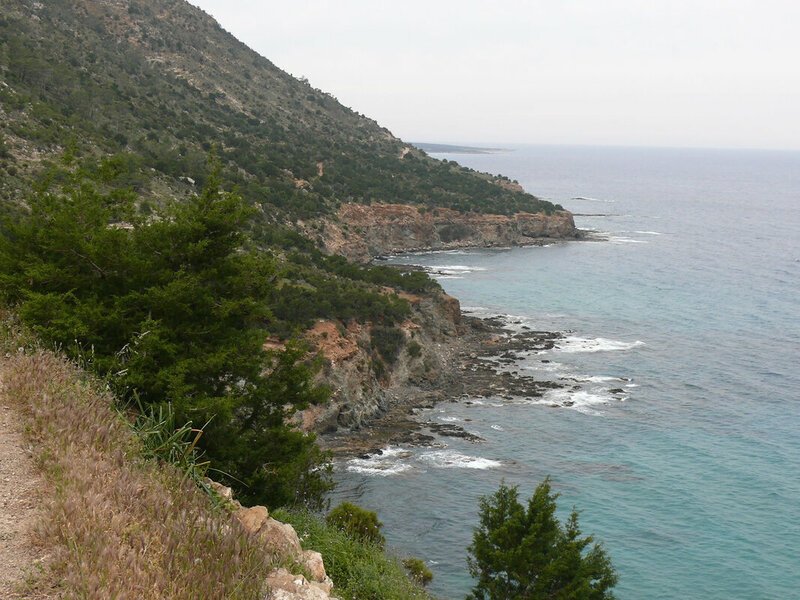 From the bridge the walkers meander through Paphos Forest to reach Pano Panagia village). There is an adventure element in the walk, since, because of lack of infrastructure relevant to walking near the river bed, walkers would need to cross the river a few times (at least three times). They would be advised to bring their sporting sandals along and use them while walking near (and in) the river bed. On most days, the walking route passes through or near villages, and walkers who would prefer to do a shorter walk may choose to arrange a ride at (any of) these villages. ​1) from Larnaca or Paphos airport to the first hotel in Kakopetria. 3) Transportation to start of Platy Valley walk and later on, from the end of the walk at Kelephos medieval bridge to accommodation in Trachypedouyla or Salamiou (or Arsos - if accommodation in Arsos then transportation the next day to start of walk). a) two walkers travel together on a Double Occupancy, bed and breakfast basis is 675 Euro per person. b) a single traveller on bed and breakfast basis is 1,090 Euro per person.